Satyam Computers was an Indian IT services firm based out of Hyderabad. In June 2009, the company was taken over by Mahindra group’s IT arm and was merged with Tech Mahindra in June 2013. The name is synonymous with the major corporate fraud that it got into at the behest of it’s CEO – Ramalinga Raju. In Jan 2009 the scam came out in the open shortly after a bid to acquire Maytas Infra went dud. The Auditor of the company was PwC during this period and the signing partner was arrested post all investigations. This corporate fraud raised serious questions and red flags in the investing community with regards to the authenticity of financial statements and the accountability of auditors, especially the much revered Big 4’s. In this article we will try to understand what went wrong and what are the lessons we as investors should learn from this. 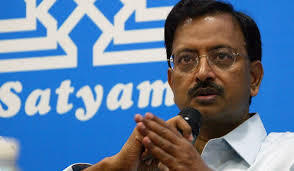 Let’s first look at the numbers that Satyam Computers reported between FY02 and FY08. The CAGR given is between FY02 and FY08. Satyam Computers was growing at an extremely fast pace. In short, it was a growth company that most internet analysts today would be recommending to their “Paid” clients. So what went wrong? Everything. All the numbers were inflated and overstated. The cash balance at the time of Ramalinga Raju’s confession letter was overstated by ~ Rs 5,040 Crores. The margins were overstated at ~20% when in reality they were just ~3%. The revenues were inflated by raising fake invoices. A non-existent accrued interest of Rs 376 Crores on FDs, an understated liability of Rs 1,230 Crores and over stated debtors (Rs 490 Crores, shown as Rs 2651 Crores) came out in that letter. No analyst or investor saw that coming. So what was the effect on the balance sheet? The below table gives you an idea using imaginary numbers. Now, how can bank balance and FD’s be overstated? Simple – Forging documents. Fake FD receipts and bank statements were made and shown to Auditors. Since then, Auditors make it a point to directly go to the bank or write to them asking them for confirmation of the balances that the company holds with them. Raju tried to acquire a real asset – Maytas, which was promoted and owned by his family members using the fake cash of Satyam computers. The independent directors and shareholders objected to this $1.6 Billion deal though the board approved it and even applauded it as a well-thought of move to de-risk the company’s business. They had three ways to spend the Rs 5,300 Crores of cash in their balance sheet – Dividend, buyback or acquisition. The institutional investors, analysts and other shareholders were angry because they felt that the cash could be utilized in a better way. The CFO of Satyam went on to say that 50% of the company’s revenues by FY12 will come from Maytas. The board didn’t bother taking approval of the shareholders which raised corporate governance issues. The ADR of Satyam tanked 55% on the NYSE that day. What Raju was trying to make the balance sheet look like is shown in the image below. Since the promoters of Maytas were Raju and his family, the only actual payment he would have to make was to outside shareholders which he planned to do by raising cash outside and deferring the payment over a period of time. One cannot rely solely on the numbers stated by the management. The source of those numbers have to be questioned. Are all the companies in the industry growing at such pace? If no, then what advantage does the company enjoy over it’s peers? What is the moat and why are other companies not able to exploit it? Growth is not easy and high rates of growth sustained over a prolonged period of time do raise red flags. As an investor, don’t take growth as a booster for your portfolio before you understand the authenticity of that growth. Also, big amounts of cash lying in company balance sheet needs to be taken seriously for two reasons. i) Why is that cash not being returned to the shareholders? ii) Till when will the management let the high cash remain in the books and lower the return on capital? Why is the management not distributing it? The actions of Independent directors need to be observed. Are they quitting suddenly after a board meet? Are they giving vague explanations to the media? In Satyam’s case, an independent director resigned couple of weeks before the scam broke out! That should have raised some warning signals especially at a time when there was a tussle going on between the management and the shareholders. These are a few lessons we need to learn from the Satyam fiasco.